When we found out it struck a cord with our team. As humans, it’s within our power to make changes that will make our planet a better place (or at least not do any further damage to climate change) but our pets don’t get a choice. Let’s make this world a better place not just for humans, but for our pets, too. Here are some of the ways you can go greener with us. The launch of our Pet’s Delight Bag for Life is a big step in reducing the amount of plastic waste we produce. Sturdy enough to hold at least 2 of our 2kg bags of food, as many tins as you can probably carry, and enough dog treats to feed your pup for about a year, it was important to us that these bags not only had longevity, but are able to carry the weight you need. For our shop customers we hope this is a welcome change. And for our online customers, although you might not be popping to our shops and necessarily need a bag for life for shopping for your pet’s food and accessories, we hope that you use them in other areas of your life. 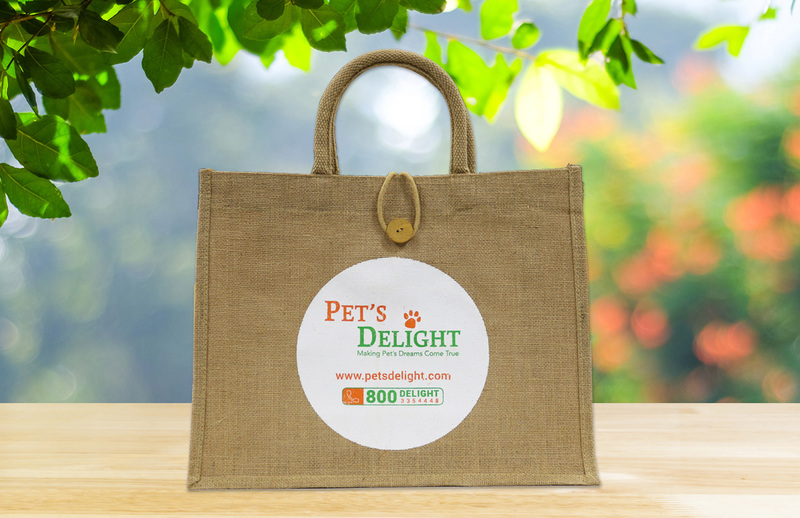 Plus, if you often have your delivery left at your door, you can opt out of receiving a Pet’s Delight plastic bag and leave your Pet’s Delight Bag for Life outside your door, our drivers will pop your order in the bag. A lot of our customers shop with us online. So a few months ago we changed our website so that you can choose whether or not you want your pet food and accessories delivered in a plastic bag. Our plastic bags are biodegradable, but if you don’t need one, it’s best that you opt out so that we can give it to someone else who does, and stop printing so many in the long run. Poop happens, pick it up! The clean up initiative by Pet’s Delight. There are limited public spaces in the UAE where you can walk your dogs. Unfortunately, this will only reduce if we don’t clean up properly when our pups poop. Not only is dog waste being left unsightly, but it poses a risk to human health, can pollute waterways, and poison grass and lawns. For those who do pick it up, using the wrong kind of poop bag can equally harm the environment. To help encourage our customers to do their bit, and as eco-friendly as possible, we’re giving out free poop bags throughout the months of February and March. Simply purchase dog items within this timeframe and you’ll receive some free eco-friendly, strong, and degradable Beco poop bags.